That was the exact quote. It was over twenty years ago, but I could tell you word-for-word that was the quote. I can actually still see where I was standing and what Coach’s face looked like when he said it to me. I also remember how I felt. The recollection of the feelings might be even more powerful than the recollection of the words. I’ll admit I still get goosebumps sometimes when I think about the moment. My high school wrestling career was a roller coaster of ups and downs. I don’t think “consistent" was a word that anyone would use to describe my competitive style. It was nerve-wracking for me to go out there compete every week in front of my friends, family and teammates. I tried to hold my myself to an impossibly high standard and I was never quite sure of myself. In a physical sport like wrestling, when you’re out there on your own, confidence is everything, and, unfortunately, it felt like confidence was a skill I had not come even close to mastering. And then Coach told me I could take down anyone in the state. And it was like a switch flipped in my head. “I can?,” I thought. I went on to win the first tournament of my high school wrestling career the very next day. I upset the fourth, second and first-seeded wrestlers to make it happen. I was awarded the Most Outstanding Wrestler of the entire tournament at any weight class. Coach said one sentence to me and the trajectory of my whole wrestling career changed. If I’m being completely honest, I think the whole trajectory of my life might have changed in that moment as well. That was the day I knew I wanted to wrestle in college. That also put me on the path to knowing I wanted to coach. The sport had given me so much and I wanted to pay it forward. After college, I was lucky enough to land an assistant coaching position at my old high school. I felt so fortunate to be able to begin my coaching career working with my old high school coach - the same coach who’d said those memorable words to me several years earlier. I learned a ton from him and as we coached together over the next few years we became very close. 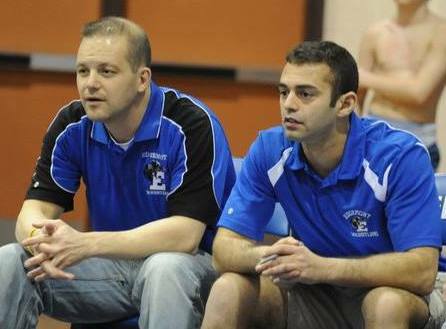 He was no longer just my coach, but also my colleague and close friend. A few years into our time together we were out to dinner and reminiscing about the years he coached me. He brought up that first tournament victory of mine. I’d never spoken to him about “the moment,” in fact I’d never spoken to anyone about it. I guess as a wrestler and then as a coach it was hard for me to admit the lack of confidence I carried around for most of my competitive career. But as we talked about my performance that one winter day, those several years back, it seemed like the right time to bring it up. Turns out that look was just confusion. I shared my full memory with him and he started laughing. “I don’t remember saying that at all!” I start laughing too. I was floored. Here I was reflecting on these life-changing 15 words that he said to me, and he had no idea what I was talking about! To him it was a passing comment that didn’t even register, to me it very well might have changed the course of my life. 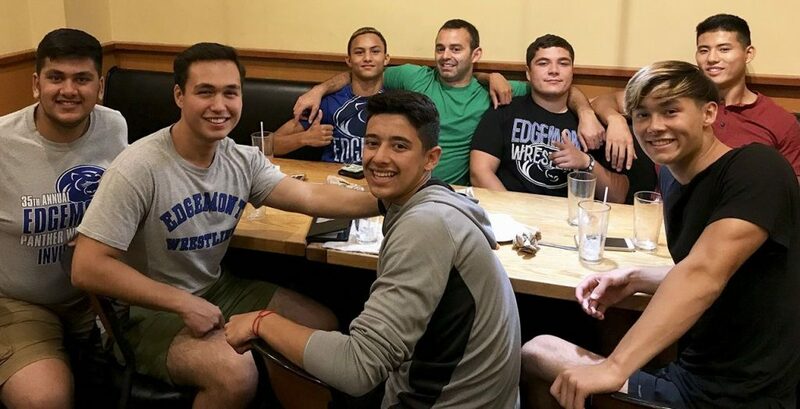 I learned so many valuable coaching lessons under Coach’s guidance - so many things that I still use today in my program - but one of the most important lessons I could possibly learn was the one he inadvertently taught me over dinner that night. Be very intentional about the words you use with your athletes because you never know which ones will change the course of their lives. This has become one of my core beliefs as a coach. Years later, I see this lesson proven again and again. As the head coach in our program, I have the good fortune to have frequent contact with our alumni spanning 50 years. It seems like almost all of them have a story similar to mine. I'm always so amazed and humbled at the stories they tell about how our program impacted their lives, even years later. Often they remember a single sentence a coach might have uttered to them and it sticks with them for decades. It's really easy for us to forget this, but part of the power of coaching is that a conversation can be so much more than just a conversation. I think it's really important we always remember that. I try to emphasize that to my staff right about this time every year, as we head into the winter wrestling season. It’s one of those things that’s really easy to overlook unless we make it a part of our culture. It all comes down to culture. 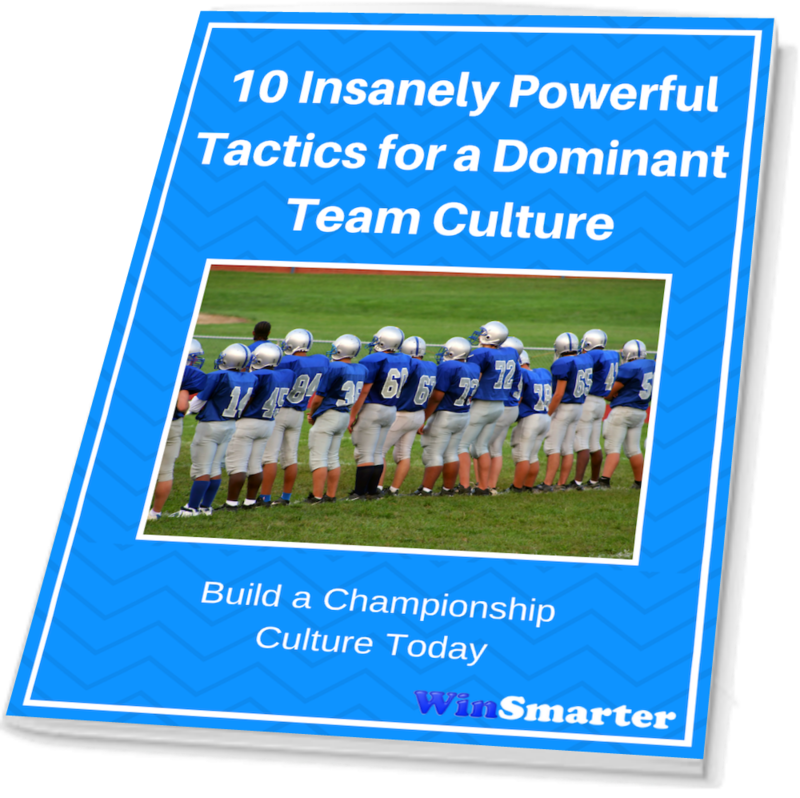 An even more fundamental belief I hold as a coach is that we can all intentionally mold the culture we want in our program by thinking outside the box and using creative strategies and tactics to reinforce what’s most important. Using different and unique tactics to build and reinforce the type of culture you want to create, really helps your message cut through the noise and become internalized by your coaches, athletes and their parents so much more quickly. Utilizing this kind of creative strategy to reinforce the impact of our words (and nonverbal communication!) is something I focused on this year. After some thought, here’s what I came up with for this preseason. Without any of our coaches knowing it, about a month ago, I reached out to our email list of alumni and asked them to share their reflections on personal interactions they had with each of the coaches on our staff. For each coach, I put together a multi-picture frame. 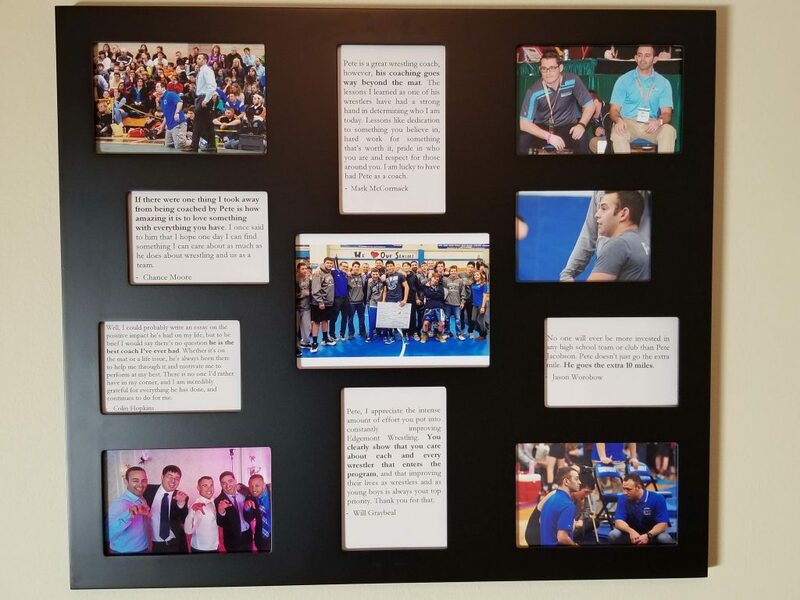 Each coach's frame had few pictures of that coach "in-action" with our student-athletes, as well as some of the most moving reflections about them we received from our alumni. My wife and I host a pre-season "thank you in advance" dinner at our house for the coaches and their families each year to let them know how much we appreciate them before the season even starts. I usually say a few words of thanks and a bit about the upcoming season. This year, I presented the picture frames to each coach as a surprise gift to remind them how powerful our moments with student-athletes can be, even if we don't necessarily realize it at the time. The impact was obvious and immediate as each coach admitted that there were moments shared on their frame that they didn’t even remember. It was a really moving and emotional night and a great way for us to kick off the season. I hung the frame on the wall in my office where I see it everyday when planning our practices. The funny thing is when I read the reflections from our former athletes, I get the exact same goosebumps I get when I think about Coach’s words to me. Guess I’ve come full circle. What an amazing reminder of the "Power of Moments”! I know that this is exactly the kind of strategy that will make the culture of our program stronger and stronger and it’s a great example of the type of tactics that can really move the needle in your program. The reality is any one tactic like this is helpful, but it’s the big picture, the sum of all of the many ways we build culture in our program, that really creates an impact that lasts a lifetime. Over the years, we've come up with many other creative strategies to help reinforce the type of positive, caring, committed culture that we know makes our program successful. I’d love to share some more specific ideas with you as well so I created a quick eBook, sharing the most creative, effective tactics we use step-by-step. Download it for FREE, take a look and steal whatever ideas you'd like! My greatest hope is that we can all use our positions to make a positive impact on our athletes that transcends the game and lasts a lifetime! Pete Jacobson created WinSmarter to help coaches with the biggest frustrations we all sometimes struggle with: things like building a strong culture of buy-in, commitment and mental toughness, dealing with difficult parents, recruiting more kids into your program and much more.